Just a short note to say I received another 1:200 scale airline model of the BAE 146/RJ-85 in NWA Airlink markings for Christmas from my loving wife. Merry Christmas Honey! 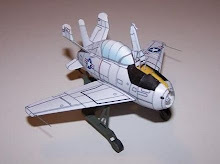 Among my hobbies I collect, are 1/1250 scale waterline model ships and 1/200 scale model airplanes. Both types I have collected for many years; and I have also over the years had to sell many of them for one reason or another. Once to help purchase a new car for my wife when her old Chevy was about to give up the ghost, I sold almost my entire collection of Wiking 1/200 airplanes. These were World War 2 German spotter models and were made by the Wiking Company GmbH during the war. My collection came from Czechoslovakia a few models at a time; and were used by the Germans as ID models. We used the 1/72 scale hard rubber black ID models that you see hanging from the celling in the pilots ready room on board any aircraft carrier in most World War 2 movies. The Wiking Company GmbH, in Germany, no longer makes any of these models choosing instead to concentrate on making 'HO' scale model cars and trucks etc. So over the years these have become highly collectable. In recent years, the Herpa company GmbH also in Germany and also who makes 'HO' scale models branched out into making models of airliners. They started with models in 1/500 scale. Soon they were expanding to 1/400 and then 1/200 and 1/600 scale. Today many companies make airline models in 1/200 scale and they enjoy a growing number of collectors, among them myself. That said, I have slowly started to collect some of these models. Now made mostly of metal, the models are very nice in detail. Not as highly detailed as what Herpa calls their Premium Models; for those models are made of composite materials where one can see inside the cockpit and many have spring loaded undercarriages, clear red and white lights etc. The Lower priced models are none the less still nicely made. So here is a picture or two of one of the models now in my collection. After my military discharge, I went to work for Delta Airlines for a short while as a 'Cabin Service' agent; meaning we cleaned the inside of the aircraft after each flight. Not always the nicest job, but 'hey!' someone had to do it. At the time, my favorite airplane in Delta's fleet was the Convair 440, twin propellor engined airliner. I was too late to purchase the Delta Model made by Herpa as they have all been sold out and discontinued. However; I was able to get a Lufthansa marked 440 and have added to my slowly growing collection. 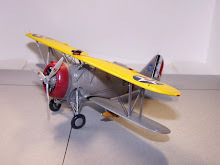 If you are interested in starting your own collection, The Airplane Shop: http://www.airplaneshop.com/index.html carries a good collection of Herpa Models and does mail order. You may also want to visit herpa at http://herpa.de/ As I mentioned earlier, there are a number of manufacturers now making models in this scale and one can 'Google' to find many other sources. One last thing, If anyone happens to have a Delta Convair 440 and wants to trade it or sell it, let me know please.